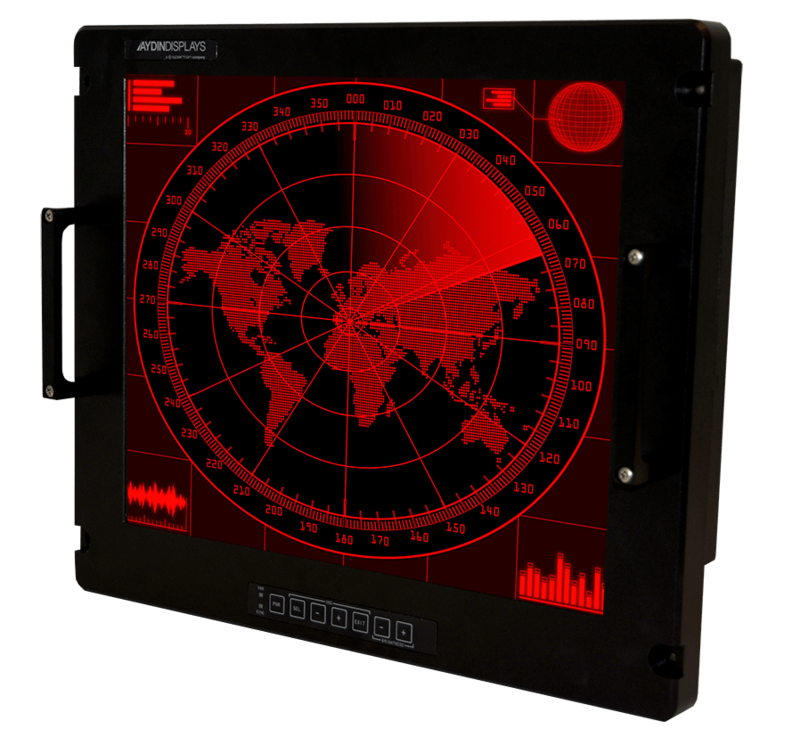 Aydin Defense introduces its newest 19" Ruggedized Military COTS LCD Display - The 8819-9U. This 19" high performance Rack Mountable military grade display features 6 different custom configuration options, scroll down to see all available options. The Unit is designed for top performance in a variety of multi-platform environments such as shipboard, airborne and ground mobile which require a solid mechanical design to protect the unit against shock, vibration and extreme temperatures. All 6 configurations are available with the new Aydin Video Controller. The Unit comes with (7) multiple video input options, to handle existing legacy systems. See our Interface spec breakdown below. Unlike standard monitors where the only protected part is the front panel, waterproof sealed monitors are sealed on all sides against liquids. This protects the display from water, and widens the application of these displays.The 8819-9U unit meets all drip specifications. The term "military grade" when not referring to a mil spec is a marketing term used interchangeably with words like strong, tough, intense and high-quality. The 8819-9U unit is complaint with MIL-STD-810G. No gimmics, just the material spec that you need and care about. See our spec breakdown below. We built the 8819-9U display with your needs in mind. The unit measures 9U high, and can be console mounted as well as rack mounted.Options are broken into AC/DC parent configurations with: no-touch, resistive touch, and capacitive touch choices. The 8819-9U unit comes with a maintenance connector, allowing for firmware upgrades in the field. Never worry about having to open up the unit or take it apart to make firmware upgrades.An RS232 connector is standard for this unit, and allows for user control from a preferred computer system. Fanless displays operate without noisy cooling fans that can draw in dirt and dust, causing potentially catastrophic failures. Designed for top performance in a variety of multi-platform environments such as shipboard, airborne and ground mobile; the 8819-9U envelope is built and designed to protect the unit against shock, vibration and extreme temperatures. Connect with our defense expert, and experience the Aydin brand difference. Where can I download the PDF datasheet? Please navigate to the product page and click on the DOWNLOADS tab. Are there drawings available for this model? Yes, we have available drawings for this model! Please navigate to the product page and click on the DOWNLOADS tab. What if I have a question and need help right away?